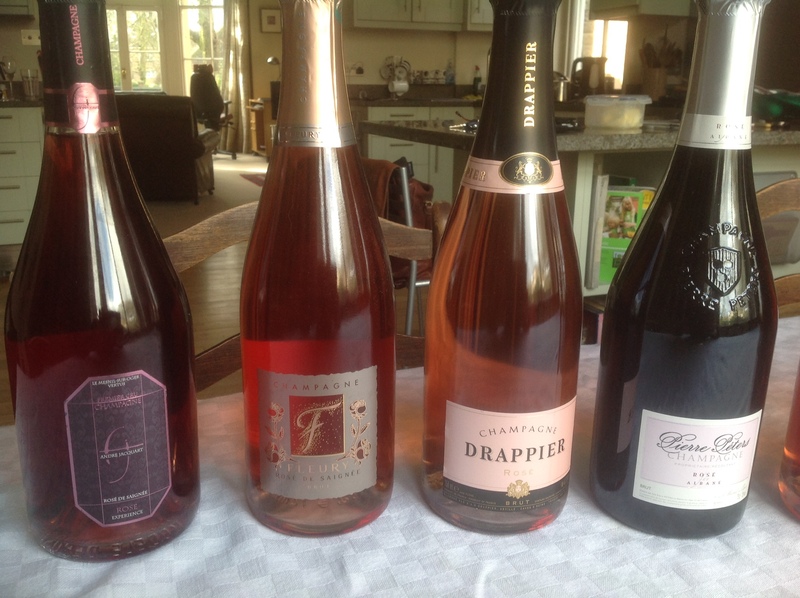 Following on from my top ten pink champagnes selection last month, I realised I hadn’t really done anything about the large range of growers’ pink champagnes that are now available in the UK at various specialist retailers. 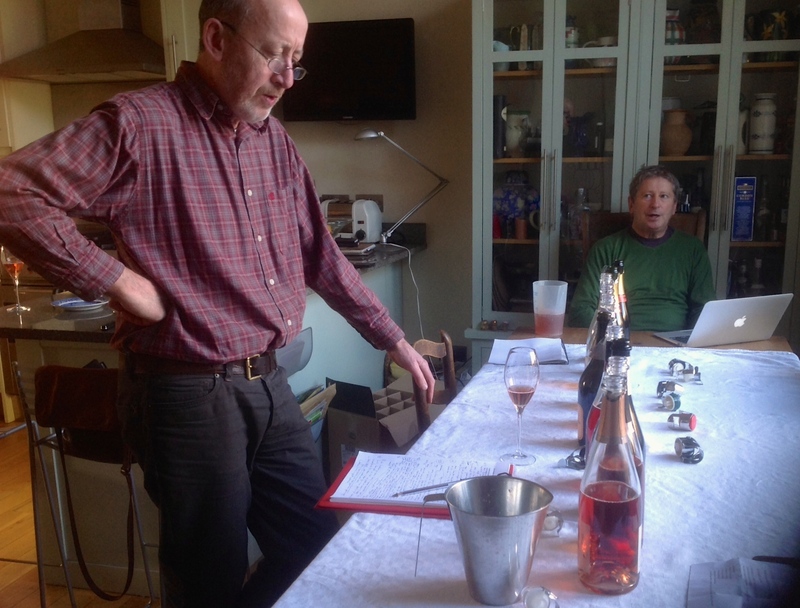 So with the help of Berry Bros & Rudd, who have one of the very best selections of ‘artisan’ champagne in the country, I put together a small tasting of mostly growers’ rosés and called in Anthony Rose of The Independent to join me in trying them. The line-up included six growers’ champagnes, and three from small négociants with only the Billecart-Salmon style from a well-known house. 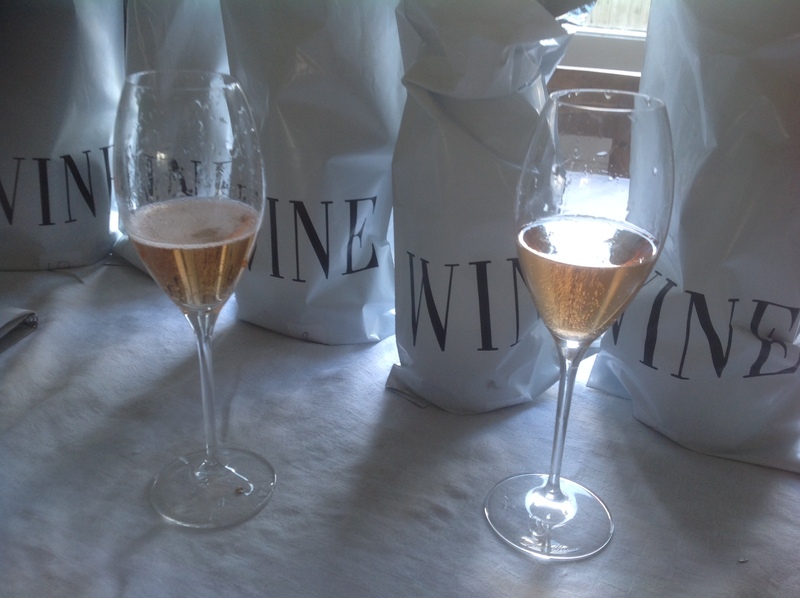 There were six pinks made by blending (adding a portion of red wine to white champagne) and three saignée rosés (where the colour is ‘bled’ off the skins), plus a fourth made from a combination of the two methods. We tasted them blind taking our time to assess each wine, looking at the blends first. 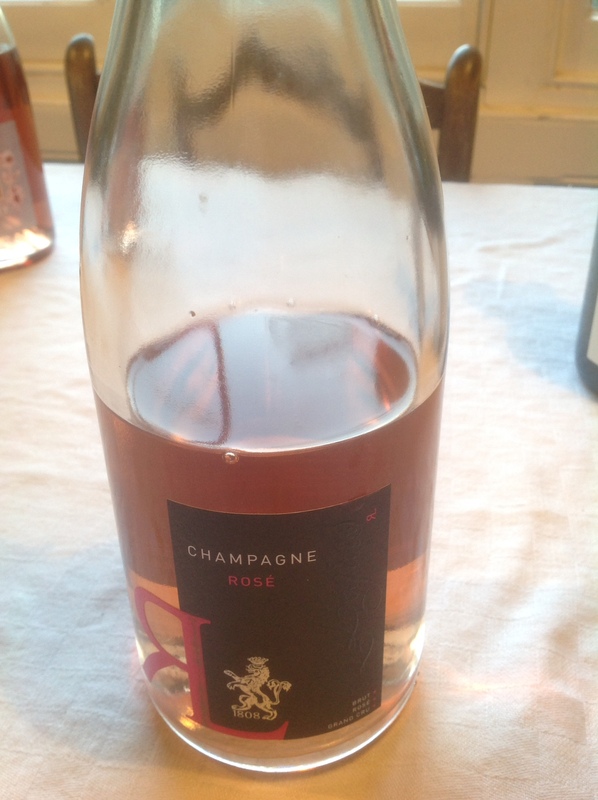 Our favourite wine on the day was the R&L Legras Brut Rosé (93/100, 94/100). Complex, smoky, it has a lip-smacking refreshing, savoury quality that made it hard to resist drinking it in the tasting. It was closely followed by Philipponnat Brut Réserve Rosée, (92/100, 93/100). 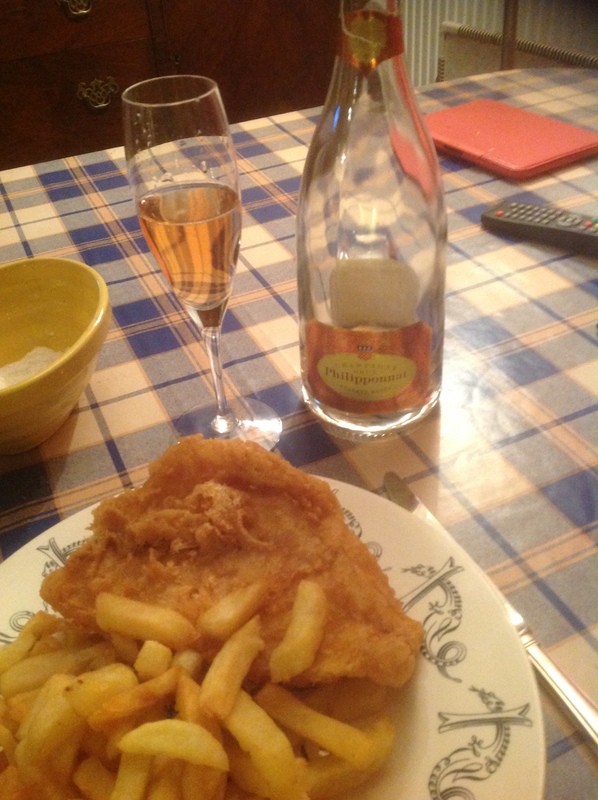 I moved the Philipponnat pink up a mark after consuming it with brilliant fish & chips (from Bowen’s, St Dogmaels, Pembrokeshire) a couple of day later, a great match thanks to the wine’s richness and vinosity, that’s boosted by having a large portion of reserve wine in the blend. I gave the Berry Bros UK Grand Cru Rosé made by Benoît Marguet my third highest mark. As the only wine in the tasting priced under £30 it certainly represents terrific value and Benoît is a fine producer whose champagnes generally are really worth seeking out. The two wines from the Côte des Bar region, Champagne’s southernmost where Pinot Noir is the most widely planted grape (both featuring in my top ten pinks last month), also showed well. Drappier’s pink, which has long been a favourite of mine, showed an ample, generous Pinot Noir driven richness while the biodynamic produced Fleury, is a winey, muscular style that calls for food. 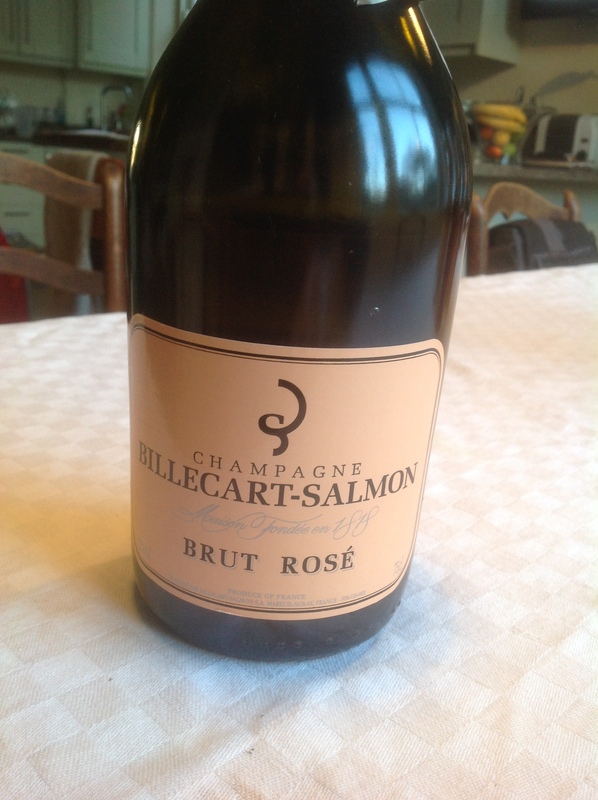 By chance the first wine in the line-up was Billecart’s Salmon’s a classically fresh, aperitif pink showing a lovely balance and a perfect benchmark style to assess the other wines against. The bottle of Pierre Peters Rosé d’Albane we had at the original tasting was faulty but a subsequent sample demonstrated that this fine Le Mesnil based producer also makes an attractive, delicate but intense pink fizz. Philipponnat Brut Reserve Rosée, 92/100 (AR); 93/100 (GF), Les Caves de Pyrene, rrp £44.99, half bottles Selfridges £26. Drappier Val des Demoiselles Brut Rosé, 91/100 (AR); 92/100 (GF), Markinch Wine Gallery (Scotland), Ruby Red Wine Cellars. 3. Pierre Peters Rosé. First sample at the tasting was faulty. I used to be unenthusiastic about rosé champagne. I have an issue with the fact that it is generally priced at a similar level to vintage champagne, but rarely offers anything like the same emjoyable drinking experience. However I have to admit there are now many more attractive pink champagnes on the market and for Valentine’s Day lots of people will be drawn into buying pink fizz. So what are the best options, outside the supermarket norm but not in the stratospheric price territory (over £200) occupied by the big brands’ rosés, the likes of Cristal, Dom Pérignon, Krug, Comtes de Champagne, Clicquot’s La Grande Dame and Laurent-Perrier’s Cuvée Alexandra? I am particularly attracted to the more winey, Burgundy style Pinot Noir driven pinks that age really well and work surprisingly well with food, particularly game. In this camp I’d include Veuve Clicquot Cave Privée Rosé, ideally the 1989 vintage which is still available, if in fairly limited distribution. 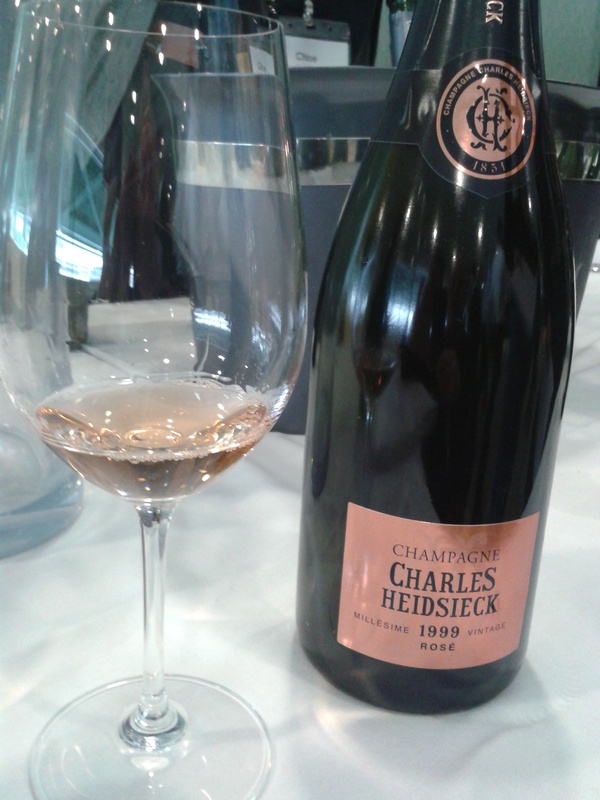 Ten years younger, but both delicious in their different ways are Charles Heidsieck’s 1999 Rosé and Bollinger La Grande Année 1999 Rosé, Closer in style to the Clicquot with powerful rich Pinot Noir from Les Riceys playing a significant role in the blend comes Nicolas Feuillatte’s Palmes d’Or Rosé. I have the 1999, 2004 and 2005 vintages and will probably open the ‘99 myself on the 14th. 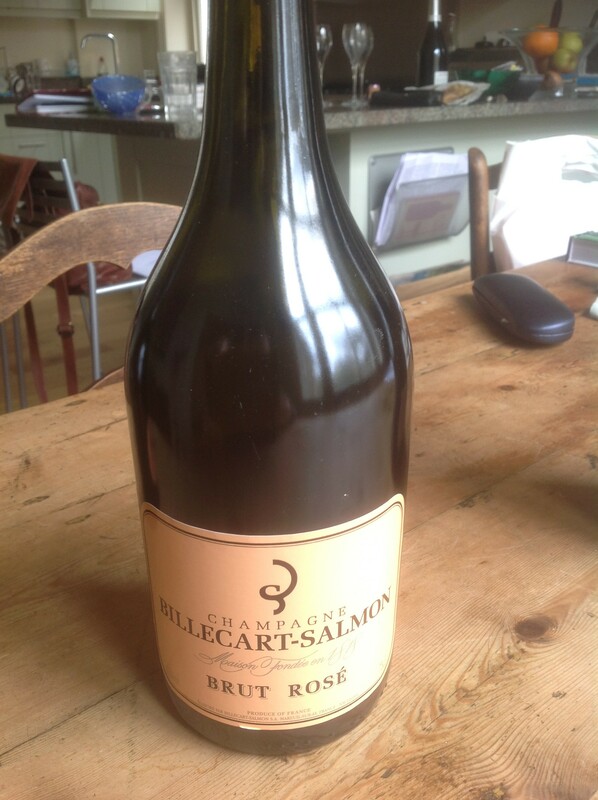 More delicate in style, but slightly more expensive is the creamy textured Billecart-Salmon’s Cuvée Elisabeth Salmon 2002. Great value but certainly not inferior comes the delicately fruity, but distinctly classy Joseph Perrier 2004 Rosé. 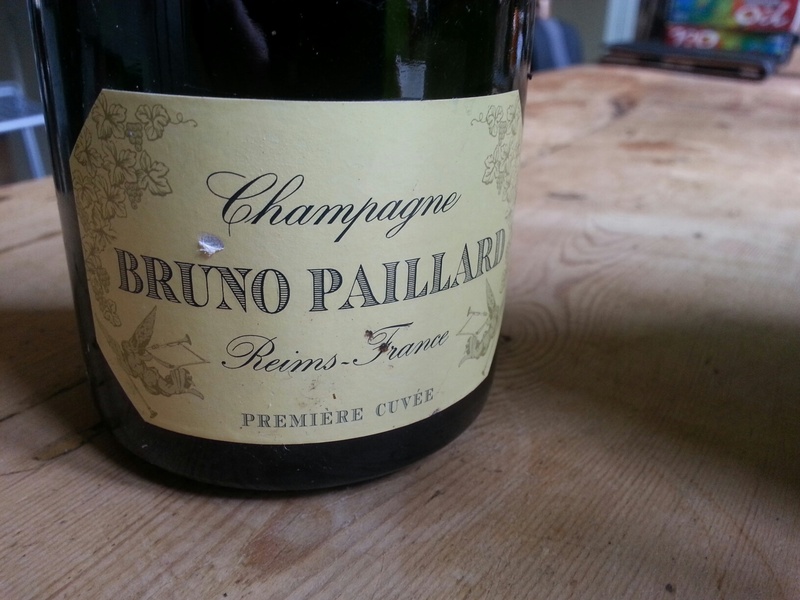 Bruno Paillard Premier Cru Rosé is another winner resonating breeding and, as the best pinks are, very moreish. And Gosset Grande Rosé, which I tried again only this afternoon, is a very desirable, seductive pink that rapidly disappears. That only leaves two remaining slots to fill and for these I am going to go to the Côte des Bar region to the south-east of Troyes where Michel Drappier makes a charming Burgundy-like pink and bio-dynamic producer Fleury produces something substantial and savoury, that would easily and enjoyably be consumed with an Asian duck dish. Finally I am going to cheat and add an 11th pink that is widely distributed in the supermarkets, that from Veuve Clicquot. This is probably the pink fizz I have tried most often in the past 18 months and has been consistently among the most enjoyable.